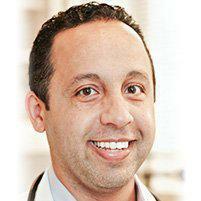 As an experienced family medicine doctor, Dr. Eidgah believes wholeheartedly in preventative medicine. From his practice in the East Village, he helps patients from throughout New York with a proactive approach that promotes health helps prevent deadly diseases such as heart disease, diabetes, and even cancer. Dr. Eidgah sees patients from around the surrounding area including Union Square and Downtown New York. What Kind of Preventative Services Does Dr. Eidgah Offer? Preventative medicine is a very large field, and Dr. Eidgah offers a wide array of preventative and wellness services. Those services include every system in your body from your cardiac system to mental health. Most patients are concerned about heart disease or cholesterol levels. Dr. Eidgah offers comprehensive cardiac screening that helps people discover their total cardiac health. In addition, he offers mental health screening, preventative and wellness exams for digestive, reproductive, and endocrine health. Another high-demand service is allergy testing and care for asthma. At a minimum, preventative health addresses diet, exercise, and social risks such as smoking. If you have not yet scheduled a wellness exam, do so. The results help you become better informed about potential disease onset and give you more information on how to improve your health so that you might not face future medical problems. A wellness visit is a checkup that focuses on your entire health picture. A wellness appointment is different from a sick visit where you might have a follow-up that just checks in to see how you are recovering. Wellness is not diseased specific, and it takes on the responsibility of preventative medicine. The goal of wellness is to discover the potential long-term disease that may occur based on lifestyle. These appointments are valuable because they allow the patient a clearer picture of their future health and that information hopefully provides an incentive for change. Does a Wellness Visit Look at My Health Today? Absolutely. Wellness starts with your current state of health and addresses immediate concerns, as well as those that may potentially affect you in the future. Dr. Eidgah focuses on managing each patient's care in the short-term and long-term. Gaining health is his approach to wellness. Do you smoke? Are you overweight? Are you sedentary? What can you do today to change your future health? To answer those questions, Dr. Eidgah must look to your healthiness level today.